Reviews taken from original 2012 production. Supported by The Scottish Opera Syndicate. Ever wanted to find out why the show is over when the fat lady sings, how the cast fit in some many costume changes. Now is your chance! Scottish Opera are unwrapping a treat for opera newbies and opera aficionados. Presented from the Grand Opera House stage The Magic Flute Unwrapped is an opera production like no other. Singers, back-stage crew and The Orchestra of Scottish Opera will demystify and take the audience through this breath-taking production step by step. You’ll hear highlights from the music and find out more about the props, costumes, lighting and direction, as well as some back-stage secrets. Tickets are just £5 – come along and find out more! 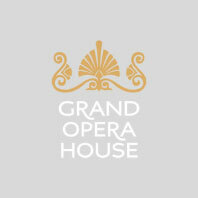 Want to know more about the opera you’re going to see? Look out for a performance with a Pre-show Talk. These free half-hour talks delve deeper into the opera, enhancing your enjoyment and extending your knowledge. Tickets are free but should be reserved in advance. £47.75 - £16.75	Prices include maximum applicable per ticket booking fee.